When do you purchase a new furnace? Good question. One better answered now, rather than at one o’clock in the morning, in the middle of January. 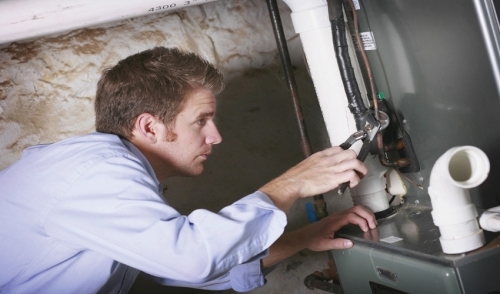 First and foremost, your existing furnace should be maintained on a regular schedule by a qualified HVAC tech. Listen closely to what they say about your furnace, how it’s performing, and its condition. If your HVAC tech has concerns about your furnace making it through the next winter, then the more time you spend shopping for a new one now, the better off you’ll be when the cold, winter winds start blowing. How much you’ll spend on your new furnace depends on many factors, such as the type of furnace, its efficiency and its size. If the time has come to choose a new furnace, first determine whether or not you are going to stick with the existing type of furnace. This choice will impact the cost in major ways, because it can affect the infrastructure of your entire heating system. Forced hot air versus hot water baseboard, for example. If budget allows, this may be the single biggest opportunity to revamp your home’s heating system into a more efficient one. Once you determine the type of furnace that you would like to buy, it’s a good rule of thumb to buy the most efficient model that is within your budget. Consult with your HVAC Tech on what is the best size rating for your home and at what efficiency it will work for you. Do some investigating and ask around about high efficiency furnaces. Often, extremely efficient furnaces which claim they can save you money over time, will eat up a lot of that savings in the form of higher repair bills. By being informed about the condition of your furnace ahead of time, you have better control of when to purchase. This means that you might be able to benefit from rebates and incentives by shopping around early. This is an opportunity that you certainly may miss, if it is one o’clock in the morning in the middle of January. To put it simply, the more time you have to shop for a new furnace, the better off you’ll be. If you squeaked by last winter, knowing that your furnace’s days were numbered, then socking away a little extra cash while shopping for a new furnace can make a huge difference on your eventual choice.